At one of the largest and oldest enterprises in Kazakhstan, the Atyrau Oil Refinery (ANPZ), recon- struction is being conducted in three stages. The first stage was successfully completed in 2006. It was directed at introduction of hydrodesulfuriza- tion technologies with the process- ing of extracted sulphur into com- modity products. Also, the plant’s treatment facilities were recon- structed, the rack of dark petro- leum products was modernized and a new flaring system was built. 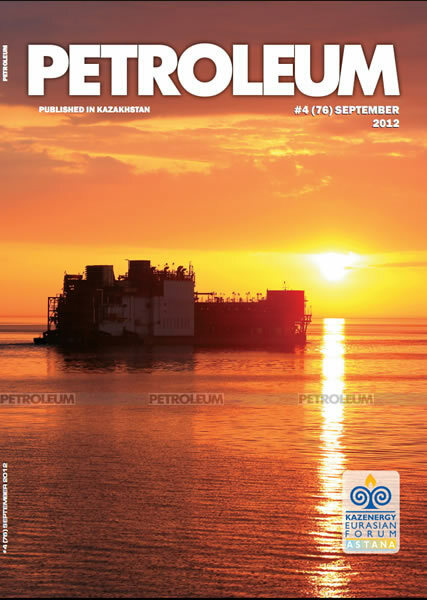 The volumes and rates of production of socially significant petroleum prod- ucts were increased, namely: high octane motor gasoline, ecological- ly pure diesel fuel of marks DLch DZch with the freezing tempera- ture - 350 C. Production of aviation fuel was expanded due to receiving additional volumes of mixed avia- tion kerosene. The logic continuation of the plant’s modernization is the con- struction of the aromatic hydrocar- bons plant. A state-of-the-art tech- nical base for extracting benzene from gasoline fractions and receiv- ing paraxylene will be created. In the course of the plant’s reconstruc- tion, the recent achievements in the sphere of engineering solutions on minimizing an environmental impact will be applied. Along with the use of modern hermetic equipment for storage and transportation of petro- leum products, special technological units are proposed for highly efficient clearing from harmful components under emissions into atmospheric air. The positive conclusion of the envi- ronmental impact assessment issued by the Ministry of Environmental Protection of the RК on the results of the feasibility study and materi- als on the preliminary environmen- tal impact assessment confirms that the selected variant of engineering solutions on the plant’s technological modernization fully corresponds to the requirements of the environmen- tal legislation of Kazakhstan. The cost of the aromatic hydro- carbons plant is estimated at $1 bil- lion 40 million. 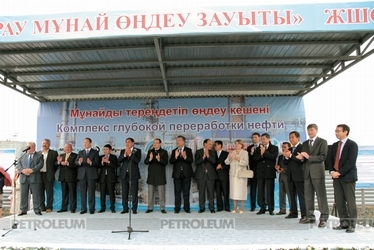 The contract for a turn-key construction was signed with Chinese Sinopec Engineering on October 29, 2009. The term of execution is 39 months with the plant’s putting into operation in December 2013. “To continue the process of active rehabilitation and development of the chemical industry” – such a goal is set by the President of Kazakhstan Nursultan Nazarbayev before the country’s petrochemical branch of industry. Substantiating this task, the head of state drew special attention on the fact that accelerated economic modernization to be conducted in the country should be a logic continu- ation of the Program for the Accel- erated Innovation Industrialization. 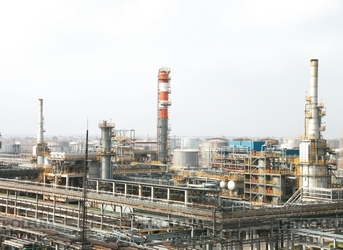 After Chinese Sinopec Engineering will finish the construction of the aromatic hydrocarbons unit, 133 000 tons of benzene and 496 000 tons of paraxylene will be produced there. The plant will reach a design capacity after 2013. On the petrochemical unit, benzene and parxylene will serve as raw materials to produce 1 million 250 thousand tons of polyethylene and polypropylene annually. In turn, they are crude to manufacture a wide range of products from disposable packages and pens to the products for the automobile and aviation industry. When this production will put into operation, the uniform chain of pet- rochemical productions producing goods with high added value will be created in Kazakhstan. It should be mentioned the unit’s flexible process scheme.